Teapots come in all shapes and sizes as you well know if you have followed Teapot Tuesday on It’s Just Life for any amount of time. 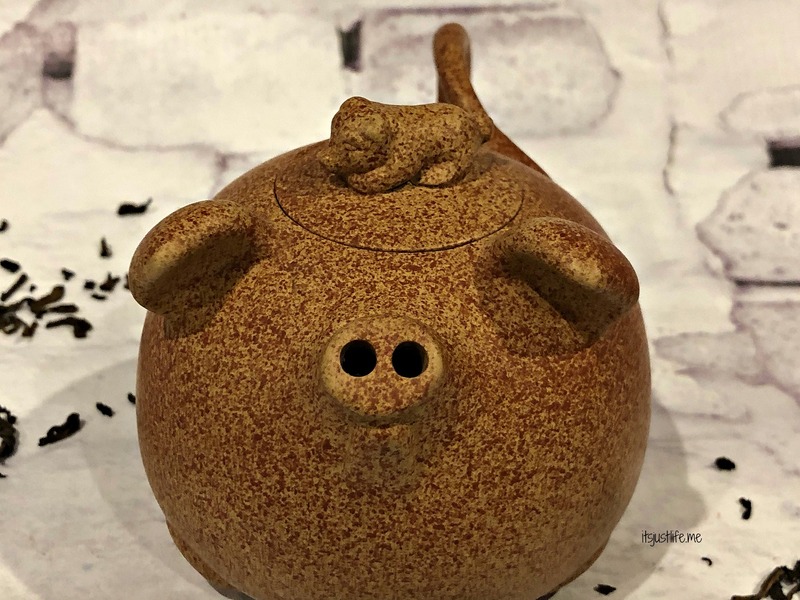 Animal teapots are a favorite and today’s teapot is one that my oldest son Micah gave me about 7 years ago. Isn’t it adorable? I wish I could remember where he picked it up for me – it was on a business trip someplace I am sure but isn’t it just adorable? 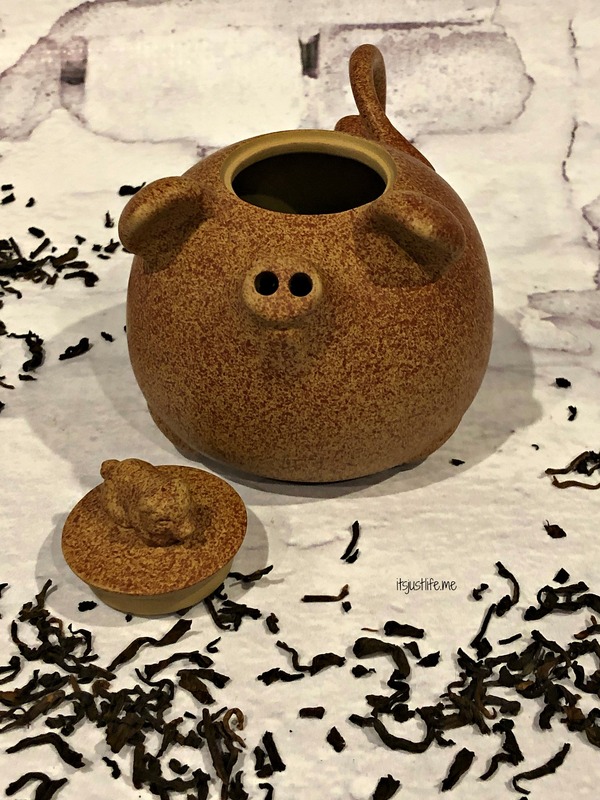 The tiny pig holds just a small cup of tea but it is one that you can easily refill and refill and refill. I think a smoky tea like lapsang souchong might be the perfect fit for this little guy. Think smoky bacon. “Smile”. With not a drop to waste. Should put hairs upon your chest. Tea should never be chugged. Is with a cup of tea. ← Previous It’s Very Pretty But…. He’s a cutie for sure!! I’m going to send a picture to my daughter. 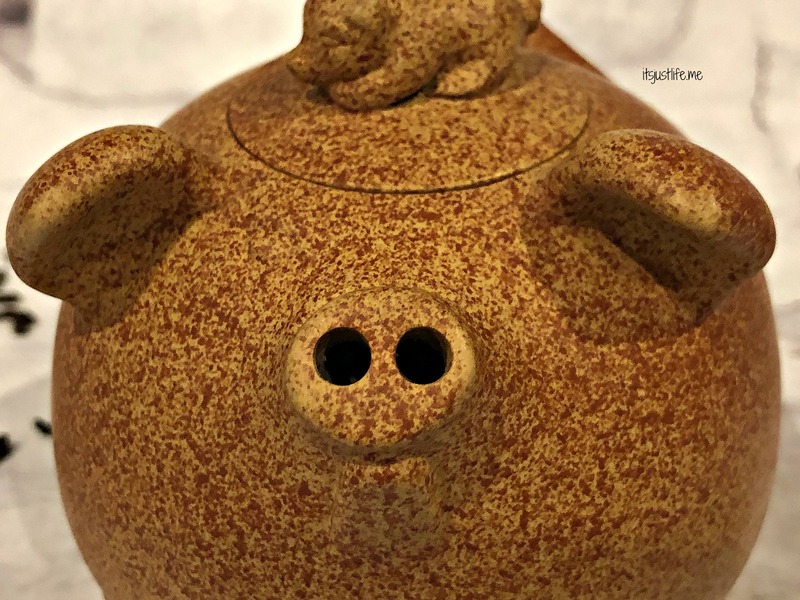 She makes piggy banks and teapots, maybe she can combine the two. Love the poem! Right? Bacon anytime even in tea! I’ve never seen a tea pot like that, but it is a winner! I have a few tea pots and no more room for more, but if I did,,,, I might add a piggy! 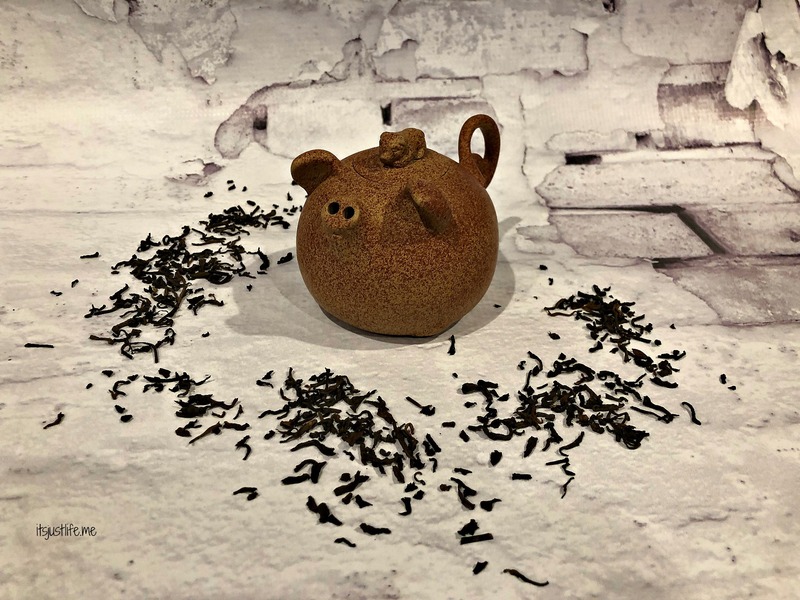 Jayne, Thanks for stopping by to see my cute little piggy teapot. It is pretty darn cute and takes up so little space it can fit in about anywhere. Great to have you visit –come on back anytime! Isn’t it? So small and perfect. I love the poem and the cute teapot. I was hoping he’d made the pot himself; it has a handmade look. It does! I will have to tell him to get cracking on making one. What a cute little pig!